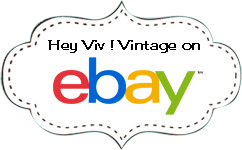 Vintage Blue Bead Necklace by Hey Viv ! Baby Blue Bead Necklace - Vintage by Hey Viv ! 21 1/2" long with spring ring.